Finding and keeping workers in Atlantic Canada has become more difficult than ever. And if a long-term solution is to be found, the region needs to become more than just a stopover for immigrants, according to a report released in March by the Public Policy Forum, a think tank in Ottawa. At present, the Maritimes lag far behind the rest of Canada in terms of immigrant retention, it said. 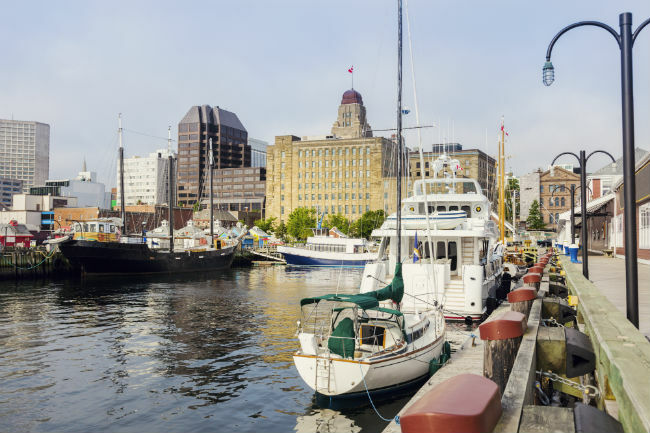 Nova Scotia’s regional five-year retention rate is 72 per cent; Newfoundland and Labrador’s is 56 per cent; New Brunswick is 52 per cent; and Prince Edward Island is 18 per cent. Every province outside the Maritimes has a retention rate above 80 per cent. While the region’s major urban centres are faring well in terms of recruitment and retention, rural employers are hardest hit, said Charlie Carter, policy lead for the Public Policy Forum, which is conducting a three-year research project on the issue. Higher-skilled firms have been able to fill roles with new graduates or international recruits, but the same cannot be said for industry sectors such as forestry, trucking and agriculture, said Carter. Despite many years of warnings, employers and post-secondary institutions failed to take heed of labour shortage issues until recently, said Francis McGuire, president of the federal government’s Atlantic Canada Opportunities Agency in Moncton, N.B. A total of 23,000 jobs in New Brunswick, Newfoundland and Labrador, Nova Scotia and Prince Edward Island went unfilled in 2016, according to Statistics Canada. Combined with an aging population, the western migration of core-aged workers during the oil boom has resulted in the current labour shortage affecting grocery stores, coffee shops, fish plants and hotels, said McGuire. The labour market issues mean employers are being forced to offer better working conditions, or turn to temporary workers or automation options, said McGuire. And many Atlantic employers are viewing the future with trepidation due to the added responsibilities that come with finding international workers. To make matters worse, the region’s labour shortage is poised to go from tough to devastating, according to Kelly Toughill, associate professor at the University of King’s College in Halifax. For years, warnings were issued that a “demographic bomb” was going to hit the region, she said. “There are a number of different things that have led to a broader social shift in how people see immigration as related to the communities of Atlantic Canada,” said Toughill. “Lots of employers are moving into a much more active role in terms of helping their employees settle — but also helping the entire family settle in the community — and really trying to look after the emotional well-being of their employees, not just workplace safety and a decent wage,” she said. To replenish the workforce, the federal government has introduced a new immigration pathway — the Atlantic Immigration Pilot — to fast-track workers into the Maritimes. The program provides a streamlined and consistent immigration framework that is common to all Maritime provinces, according to McGuire. Launched in March 2017, the three-year pilot gives business a primary role in determining who is chosen to put roots down in Canada. The plan cuts much of the red tape previously tied to the immigration process, but also requires employers to develop settlement plans to help new staff adjust. “There’s a talent gap there that we need to fill and we do it through immigration, recruitment, through better education… all those kind of things,” said McGuire. It has been refreshing to see the government experiment with new immigration techniques such as the current pilot, said Carter. However, it remains to be seen how the added responsibilities on small and medium-sized business owners affects companies’ sustainability, said Carter. “Putting more of a load on business is fine in some situations when you’re dealing with (large employers such as) J.D. Irving or McCain Foods. They have very large HR structures and they’ve already been doing this — they can staff up to help settle people and to work with spouses and the family, find housing and do that detailed stuff which is so daunting for a newcomer,” he said. “No matter what, a business owner is taking on more responsibility for an individual, and probably for a family, than if they were just hiring a new Canadian grad or somebody who’s moving jobs, who grew up in Canada,” said Carter. Immigration alone is not the solution to the labour market issues, he said. “It’s a component of what needs to be a broad structural approach to what Atlantic Canada is facing with an aging population and the demographic challenges that it’s now dealing with, and that the rest of Canada — at least the other provinces broadly — (are) also going to be confronting in the coming years,” said Carter. While Atlantic Canada comes to terms with its worker shortage challenge and potential solutions, HR practitioners across the country would be wise to take notice, said Toughill. At present, best practice includes recruiting for best fit ahead of skills, as well as selecting people from appropriate international markets, said Toughill. A review of overall business strategy in terms of external recruitment and organizational structure is also recommended, said Detry Carragher, chair of CPHR Prince Edward Island and principal management consultant at Carvo Group in Charlottetown. Questions could include: Do employee skill sets require upgrading? Have job requirements changed? Can you automate? said Carragher. HR practitioners in Atlantic Canada would also be wise to review program supports available in their region, she said. Diversity and inclusion will also provide a new challenge for HR in the Maritimes, said McGuire. With so much change in human capital, HR’s value is rising fast — even within small business, said Carter. “A small business owner can only give 24 hours in the day and a lot of them are working 80-, 100-hour weeks already, so some of them just aren’t going be able to survive,” he said. And the profession is expanding in larger firms as well, said Carter, noting that J.D. Irving recently created a director of immigration position to specifically deal with the issue of recruiting specialized machinery workers. “There is a changing role, certainly for some HR professionals and some business owners and execs — those who have seen the writing on the wall and realized that the growth of the labour market locally and across all of Canada is coming pretty much entirely from immigration,” he said.